The interior of the home was designed with an eye for detail and beauty. 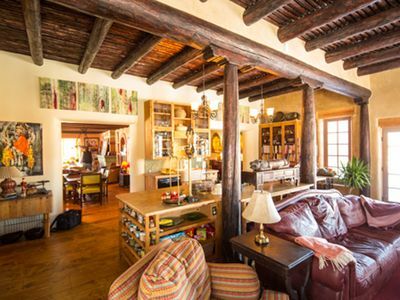 Twelve foot high exposed authentic viga beamed ceilings give a sense of space and southwest elegance. 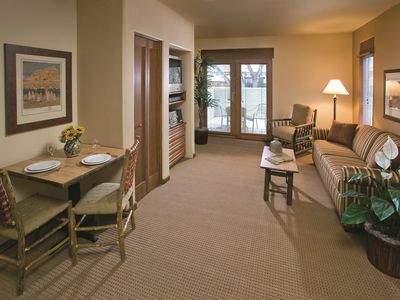 Each room feels spacious with lots of sunlight and windows to see the surrounding landscape. 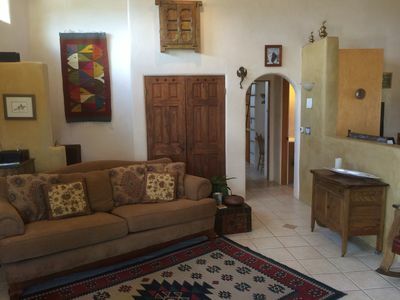 The large, open living room has vaulted ceilings and is directly connected to the kitchen. 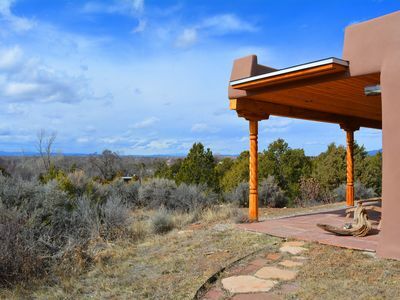 It is a great place to gather with a traditional kiva fire place. 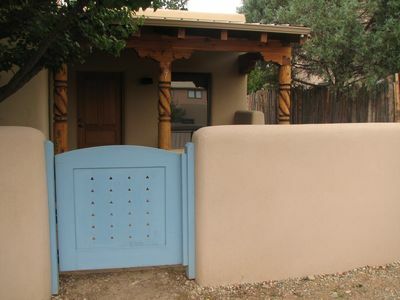 In every corner you will see the craftsmanship and attention to detail this home was built with. 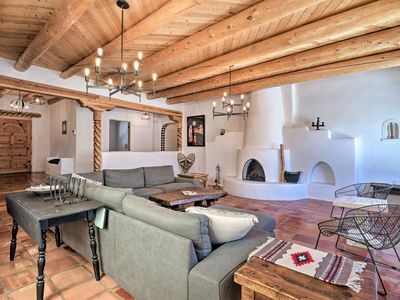 It is a perfect retreat space, or a place to bring the whole family together. 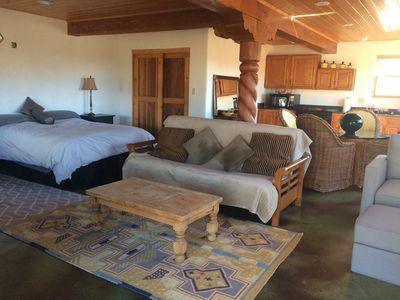 The master bedroom features a king size bed, its own small living area with a hide-a-bed couch and a flat screen TV and personal access to the back deck. The master bathroom has two sinks, a walk in shower and a walk in closet. The second bedroom features a queen size bed and personal access to the back deck. The third bedroom and office area has a twin size trundle bed that can sleep two. The second bathroom features a walk in shower. 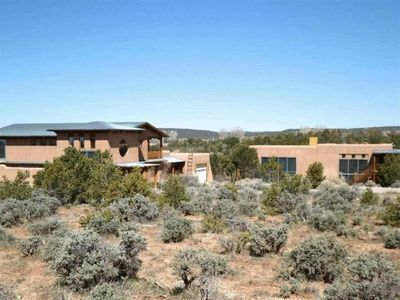 The house has state of the art radiant floor heating. 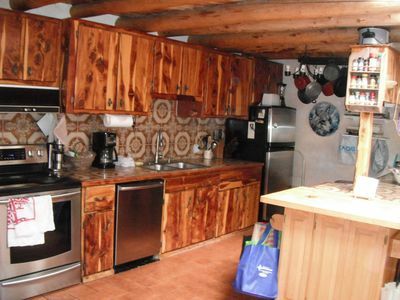 The kitchen comes equipped with stainless steel appliances and everything you need to cook your meals. 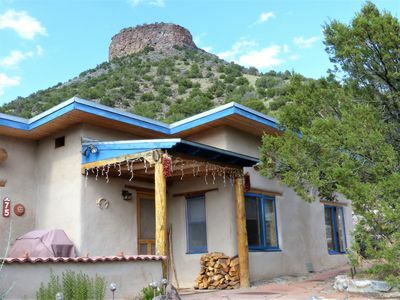 The exterior of the house is just as amazing, with wrap around porches perfect for star gazing. 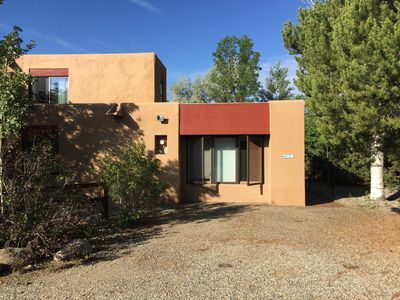 The back deck is accessible from the living room, master bedroom and second bedroom. 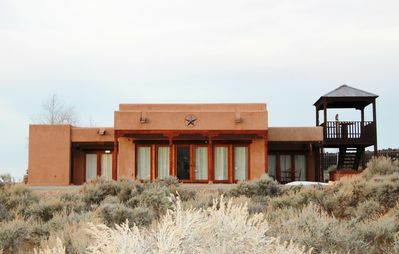 It has a convenient bar, fire pit and an exquisite private 270 degree view of the Taos night sky. 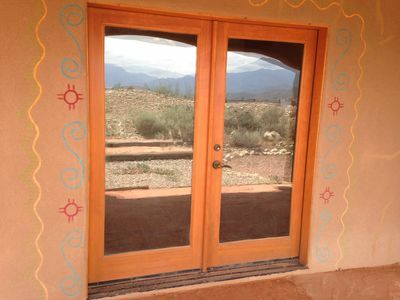 Around the house you will find hand placed stones creating paths that are filled with the sweet smell of sage. 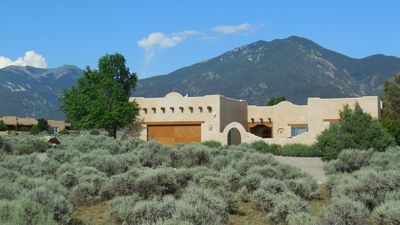 It is a very traditional Taos style home, yet it has its own unique beauty. 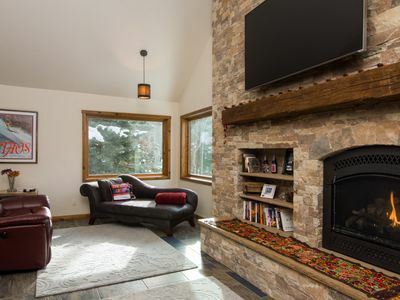 Rental Features Include: Radiant Heated Floors, Kiva Fireplace, High Speed Internet, Flat Screen HD TVs, Interior and Exterior Furnished, Cable TV/ DVD, Washer/Dryer, Kitchen Utensils, Microwave, Gas Oven, Refrigerator, Two Stainless Steel Sinks with Disposal, Dish Washer, Bathroom Towels, Linens. King size bed, Queen size bed, Twin bed with Trundle, Hide-a-bed Couch, 2 Couches and a Love Seat. 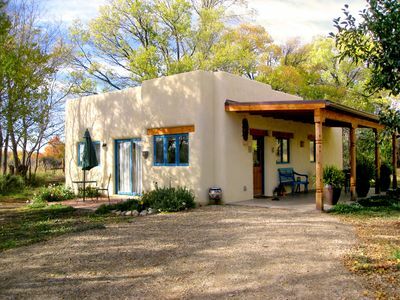 The neighborhood has beautiful adobe houses spaced 5-15 acres away from each other. 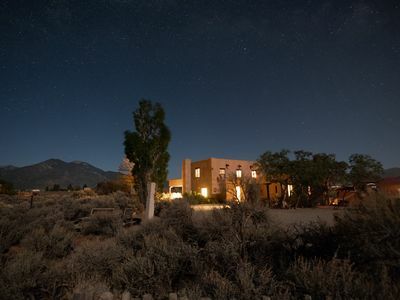 It is very quiet and dimly lit to allow for a spectacular view of the incomparable star filled Taos sky. 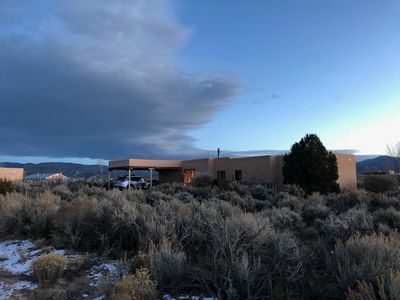 The house is 5 minutes from the edge of the Rio Grande Gorge, 5 minutes from the Taos Ski Valley shuttle station, and 10 minutes from the art galleries and world class cuisine of downtown Taos. There are two private parking lots, each equipped to handle 5+ vehicles. New! "Alexa turn on the Lights" ! We have now, and smart home... 2 rooms for now, the living room and the master bedroom, you can hear music, turn on lights just by calling "Alexa" ... and much more.. 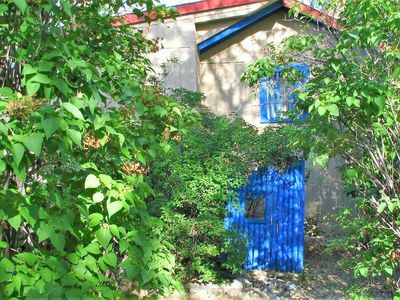 Your Own Art Gallery with 360 Degree Views! 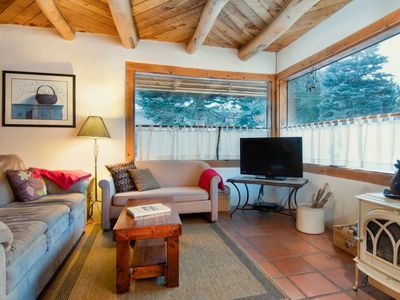 Upscale and family friendly perfectly situated between ski valley and downtown.